In 2000, world leaders agreed during the Millennium Summit of the United Nations to accelerate social economic development, human dignity and equity. They agreed on eight goals to be achieved by 2015 which were named as The Millennium Development Goals (MDG) and each goal has specific targets, and dates for achieving those targets. It should be noted that most of these goals are interlinked and failure to achieve one goal will affect the others. I would like to draw your attention specifically to Goal 3: Prompting gender equality and empower women and Goal 6: Combating HIV, Malaria and other disease using a scenario of a young Ugandan woman. Nora Nabanoba not her real name walked in my office, greeting me in a local Luganda greeting and asked me how we help women. She started narrating to me her story of how she came to Kampala. “I finished primary seven and because my parents were poor I could not afford to join secondary school. Our neighbour had a daughter who was working in Kampala and she decided to take me to look work for me in Kampala”. Nora narrated. When she reached Kampala, thing were different, the person who brought her to Kampala never assisted her as she had promised instead took her to her home to become her maid without evening paying her.Nora said that after working for along time without pay, she decided to escape from her and look for work somewhere else which she got work and started working as a house maid and she was being paid some little money. Two years later, a friend brought her a man whom she accepted to marry. The man was living in a one roomed house and he had chairs (commonly known as sofa sets). Norah revealed to me she accepted to marry man because he had sofa set in the house which they did not have in their home. They stayed together for a few years and had a baby. Norah became suspicious when her baby and her husband started falling sick quiet often. Unfortunately, the baby died. After the death of her baby she decided take a bold step to go for HIV test and the results came out positive. ‘I felt like my life was ending there and then’. Nora said. Finally, she had to come to terms with reality of accepting her HIV status. When she told her husband about HIV testing and her results, her husband started abusing her, beating her and accusing her of infidelity and blaming her for infecting him. Little did Nora know that her husband had many wives. The husband later became critically ill and was admitted in hospital and his condition improved. Nora got pregnant again and had another baby. Since she knew her HIV status, she did not breastfeed her baby. When the baby was three months old, her husband abandoned her. “I reached at a time when I was giving my baby water only because I did not have any money to buy milk not even food for me” Nora said. She is now ARVs and she is temporarily staying with a friend who offered her a temporary shelter. 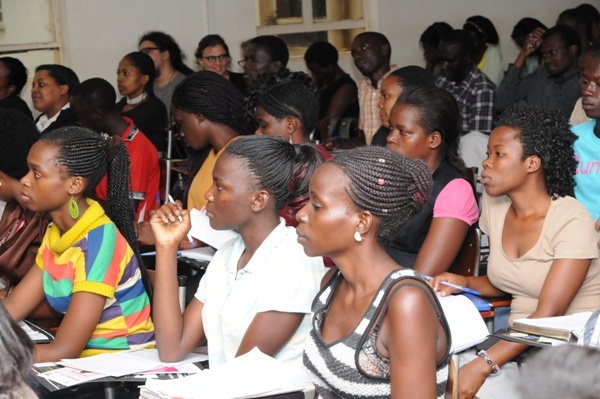 Given the costs of living here in Kampala she feels she is a burden to her. Norah’s story is one of the many innocent young girls whose dreams have been shattered and can no longer see a bright future.Is this the Future We Want? Therefore as we move from MDGs, specifically looking at Goal 3 on prompting gender equality and empower women and Goal 6 on Combating HIV, Malaria and other diseases where little progress has been achieved and in some cases there is reverse, we should not forget that poverty,gender inequality are the key inhibitors of sustainable development. 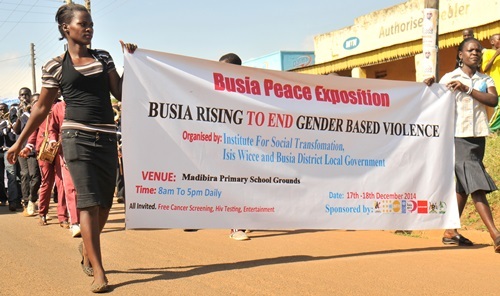 The 2014 international women’s day celebrations come at the critical time when countries are auditing the anticipated change delivered by the Millennium Development Goals and setting the next development agenda under the Post2015 Development Framework. It should be noted that the MDGs have been greatly criticized by women’s rights activists for ignoring critical issues that are central to promoting gender equality and development. Likewise, Ms Margaret Kakande who made a presentation on the milestones of MDGs and gender equality expressed concern that little has been achieved for women and girls since 2000 in critical policy areas and actions. She singled out maternal health where many women continue to die while giving birth and regretted that 64% of mothers do not receive any postnatal check-up. She further noted that over 60% of maternal deaths in developing countries are estimated to occur 23 to 48 hours after delivery due to postpartum haemorrhage and hypertensive disorders. She cautioned that if the heath status of women and girls is not improved and maternal deaths checked, the MDGs would have achieved almost nothing for them. 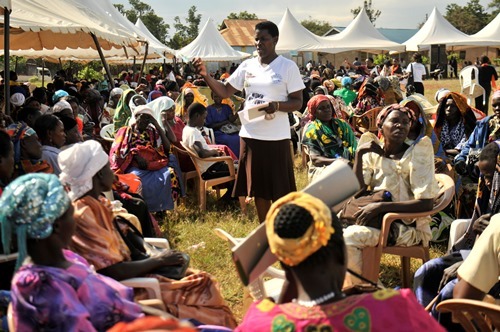 She added that the women who are the care givers suffer poor reproductive health and with the reversal in the prevalence of the HIV/AIDs scourge in Uganda, the situation is of women is critical. Ms Kakande expressed concern that this state of affairs almost reverses any empowerment gains that women would have achieved. In the sector of education, she noted that school dropout rates for girls especially at primary level have remained high denying them the opportunity to complete the full course of primary schooling which is the first foundation for their empowerment. 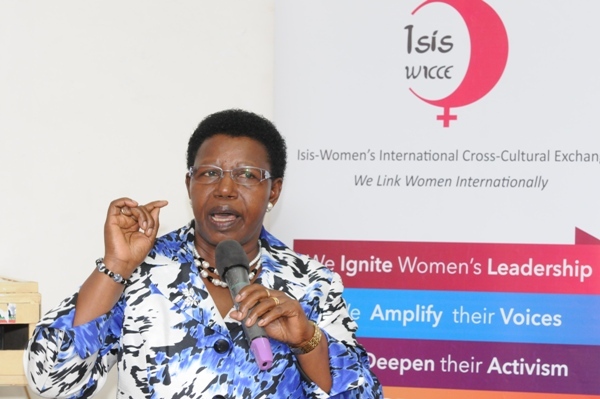 In moving forward to the Post 2015 Development Agenda, Isis-WICCE Communications Consultant Archie Luyimbazi warned that if in the last 14 years under the MDGs the plight of women has not been addressed, then the post 2015 stage should devise a plan that is transformational. He urged the women’s movement to seize the opportunity to reflect on what they need to do differently in order to bring about the much desired change for women. He advised that to be successful in this new front, Gender Equality and Women’s Right Activists should consider changing strategy from the current women’s right’s approach that has faced so much resistance over the years and enter into negotiation and bring on board new actors and energies especially the academia and the young people as well.